If you are lucky enough to be in Tashkent this month, please do not miss this exhibition. 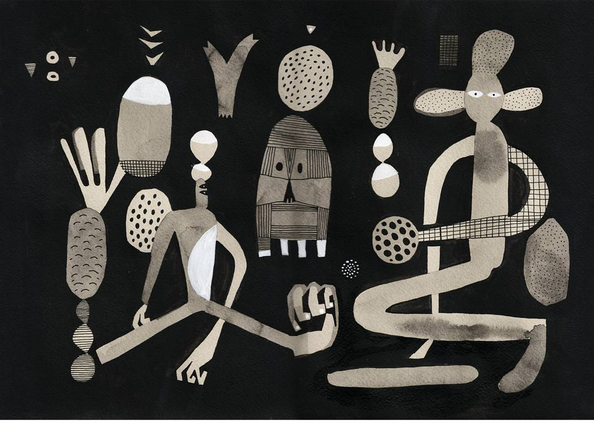 Graphic artist and illustrator Yulia Drobova's new exhibition opens at Tashkent's Alliance Française on 7 September and runs until 18 September. As well as her charming graphic works, the exhibition will include unique mosaic pieces, a medium in which Yulia has recently begun working. 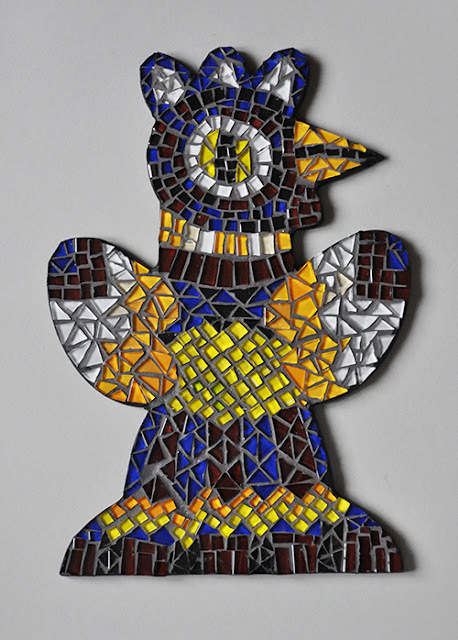 Her first glass mosaic pieces were a series of chickens, created to celebrate the Year of the Rooster. Yulia found the medium exciting and challenging to work with. 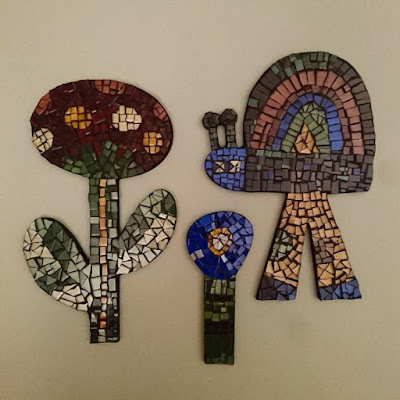 She documented the process in an interesting post on her website. This exhibition includes many pieces from her new series. 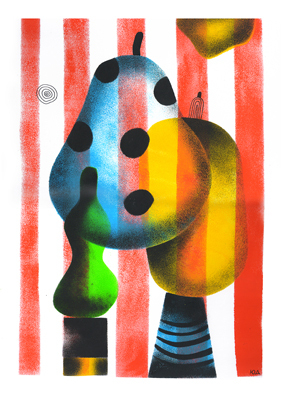 Yulia works in diverse spheres: book illustration, advertising videos, theatrical poster designs, textiles and stencils. For a deeper understanding of how she works, please review an earlier post Yulia Drobova's End of Winter Exhibition. The exhibition opening is at 6:30 p.m. Thursday 7 September. Free entry. Works are for sale. Enjoy a sample of images of her work below. 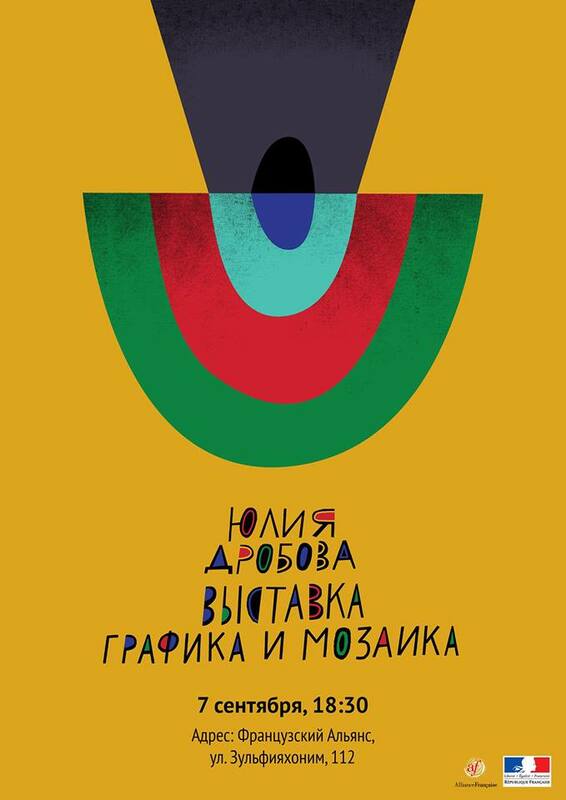 If you miss the exhibition, you can order pieces directly by contacting Yulia via her website. You can also follow her work on Instagram. I think she is one of the most talented artists working in Tashkent today - I am also the delighted owner of several whimsical pieces.